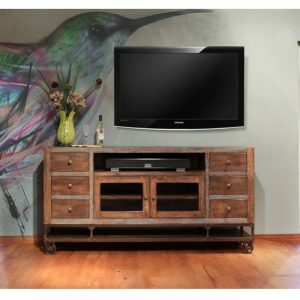 The Parota 70″ Console offers a rustic and industrial ambiance for any room. 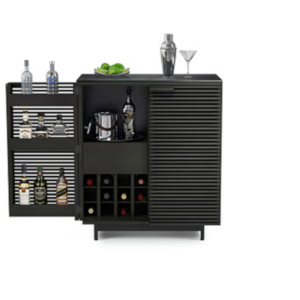 It’s constructed of 100% solid wood and features sustainable Parota wood native to Mexico and South America. 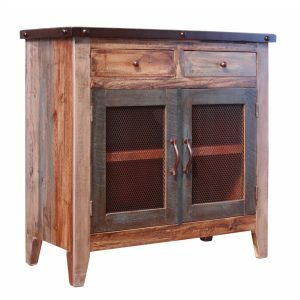 The natural character and beauty of the wood grain combined with wrought iron accents brings out the rustic and industrial nature of the Parota Console. Featuring quality hand crafted construction features like butterfly and finger joints ensure long lasting service and beauty. 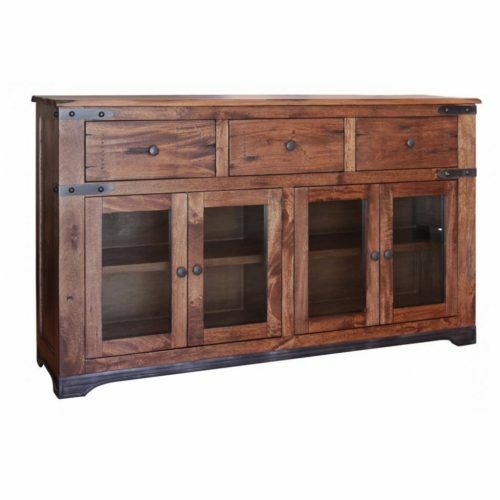 Drawer fronts are solid mango wood with a hand inserted rust finish nails and cast iron pulls. Wrought iron base is hand crafted.